TNC (Threaded Neill–Concelman) connector is a miniature, threaded and waterproof connector, with a constant impedance rating of 50 Ohms and a bandwidth capacity range of 0 – 11GHz from DC. 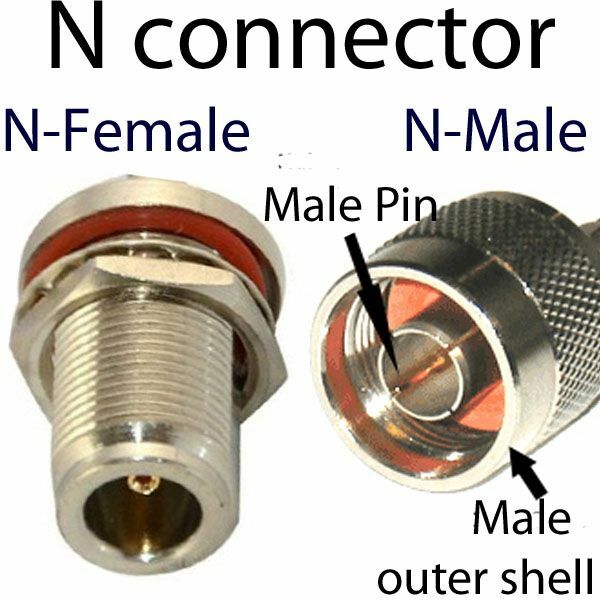 The TNC connector is similar to the BNC connector, only difference being the TNC is threaded - replacing the BNC’s bayonet. TNC also has a better performance at microwave frequencies. The threaded coupling has a high resistance to vibrations and significantly reduces noise. 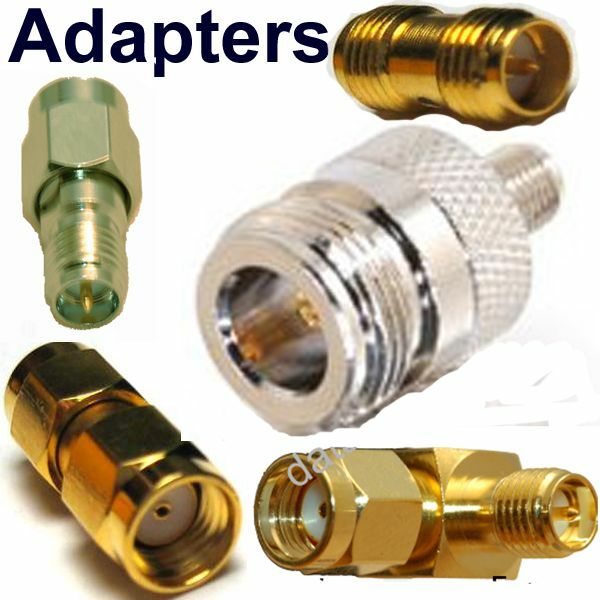 TNC connectors terminate a variety of miniature coaxial cable, either by crimping or by clamping. 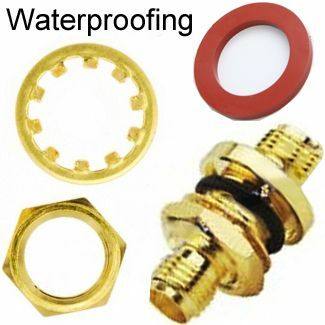 The connector bodies are made of brass and stainless steel coated with resistant gold or nickel plating at contact points. 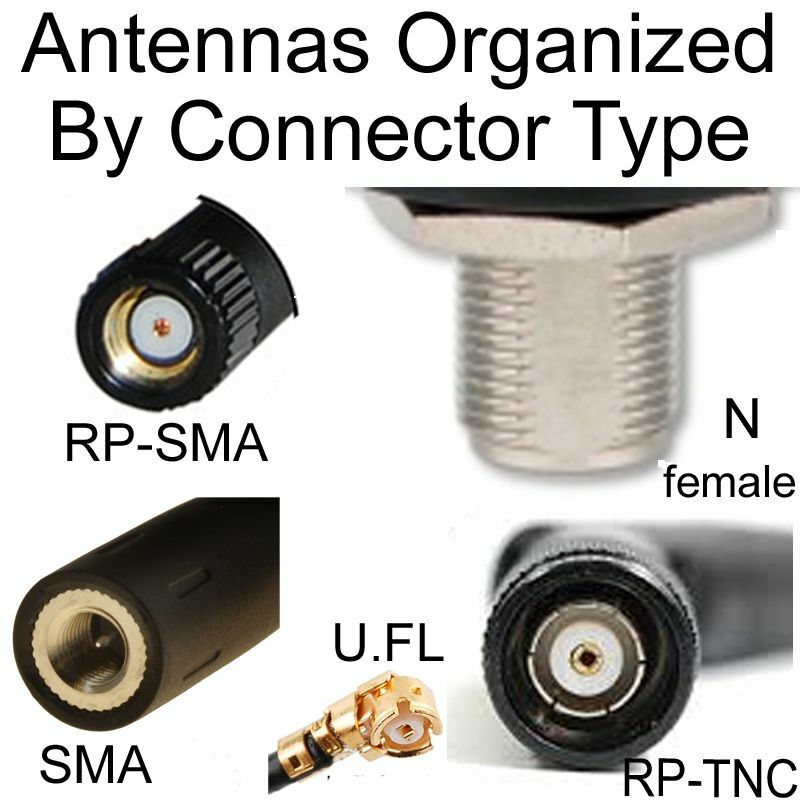 TNC connectors are made in two types: Standard and Reverse polarity TNC (RP-TNC). 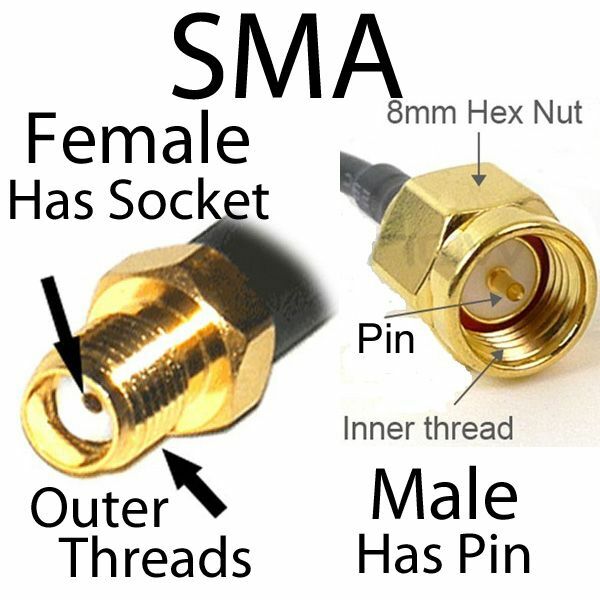 Standard male connector has internal threading and a male pin, while the female has a receptacle and external threading. 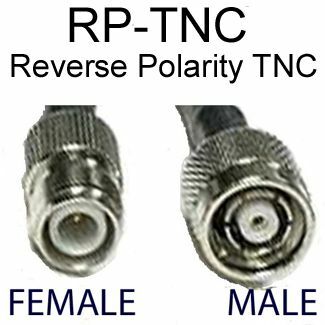 Reverse polarity TNC (RP-TNC) male has a central receptacle and the female a pin. 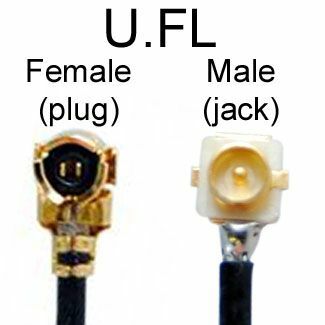 Some manufactures may use reverse threading or fabricating female contacts into plugs and male into jacks to achieve reverse polarity. 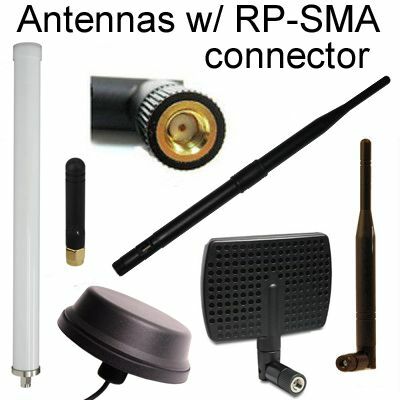 In any case reverse and standard connectors are not compatible to connect to each other. 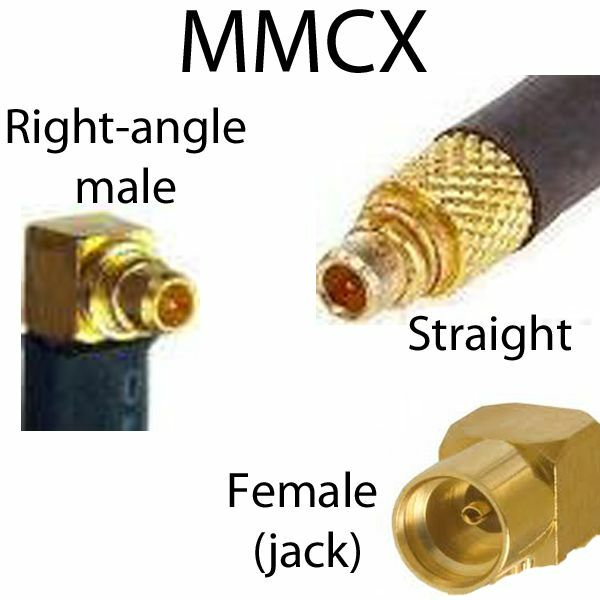 Male TNC connectors are available in straight and angled versions. The shock resistant and waterproof coupling mechanism makes the TNC connector ideal for WiFi antennas and other applications. 75 Ohms TNC connectors provide standing wave ratio of 1 GHz. 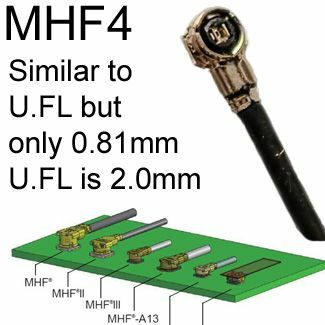 They have less dielectric material in the coupling ends than the 50 Ohms connectors. Both 75 Ohms and 50 Ohms connectors are inter-matable.